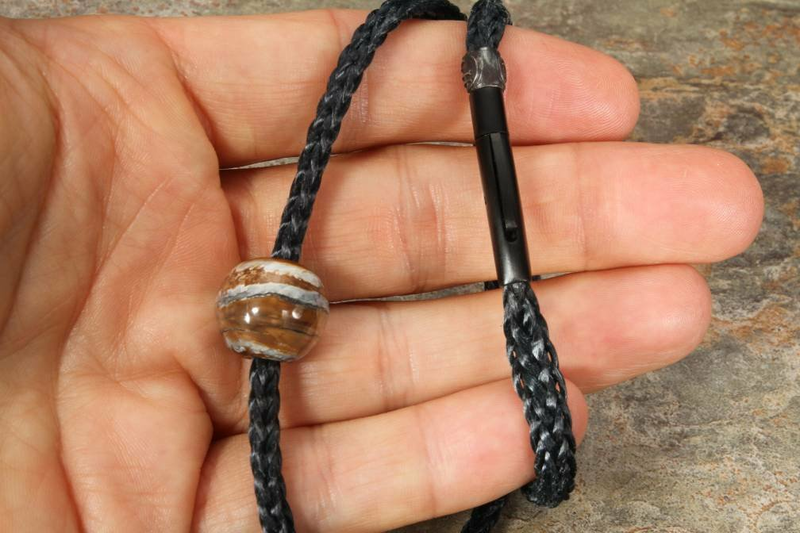 Beautiful gem-grade fossil woolly mammoth tooth bead necklace from William Henry Studio. Soft yet strong, braided black kevlar cord is connected by a black coated stainless steel clasp that is secure while easy to take on and off. 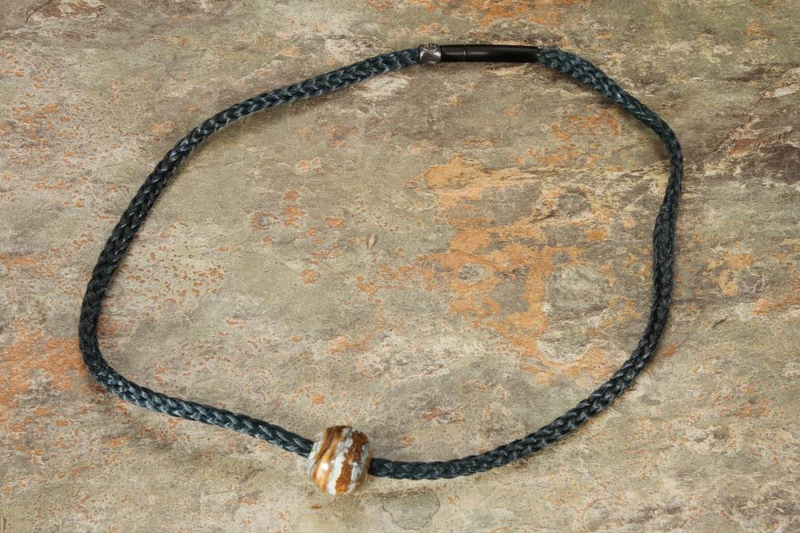 Full length of this Vaquero necklace is 18 inches. 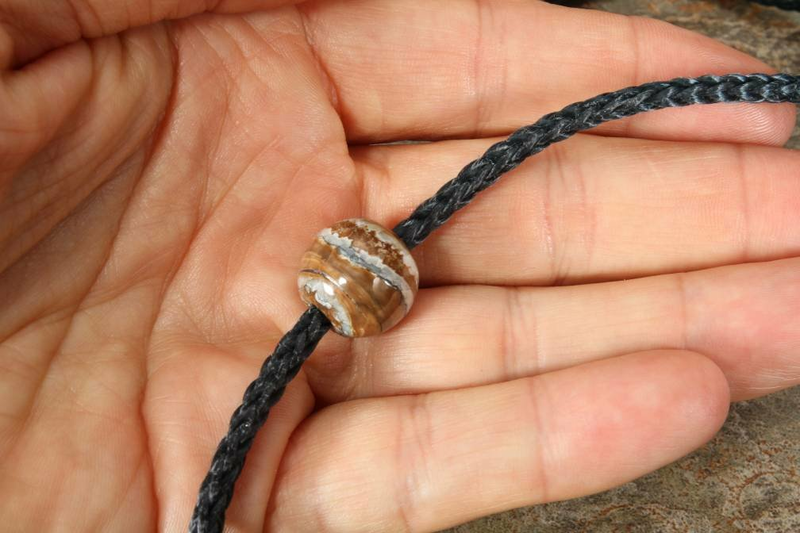 The fossil woolly mammoth tooth bead is crafted from a solid tooth that is a least 10,000 years old and found on the seafloor. Beautiful colors jump out on this rare polished bead. 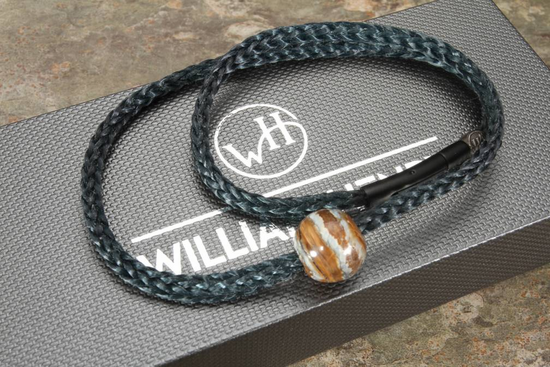 The Vaquero necklace comes complete with a black felt storage pouch and Willam Henry presentation box for safe storage.